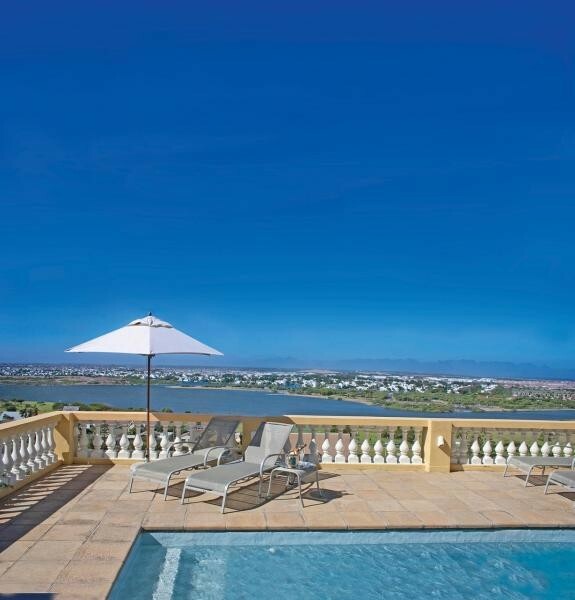 Spectacular panoramic views in enchanting and sophisticated coastal Retreat from which to explore Cape Town, the Cape Peninsula and Winelands. World-class Golf courses & legendary beaches nearby. 8 stylish suites. A position at the epicentre of greater Cape Town allows easy access to Table Mountain, the Waterfront, Kirstenbosch Botanical Gardens, Constantia, the Penguin colony at Boulders Beach, Cape Point Nature Reserve and the Winelands. 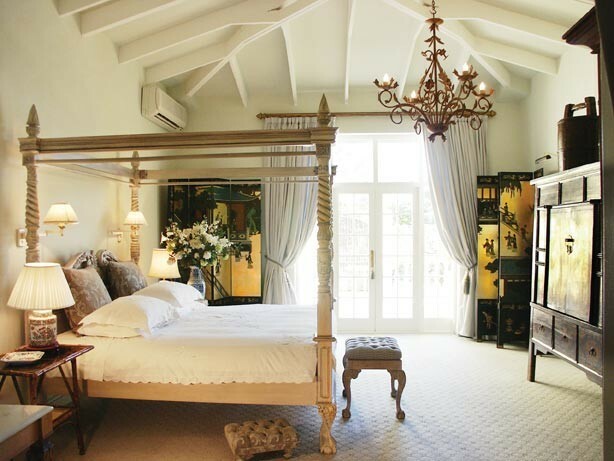 Gracing the mountainside above a tranquil Lake District on the warmer False Bay coastline, Colona Castle is a splendid Mediterranean retreat offering character, exclusivity and infinite charm. 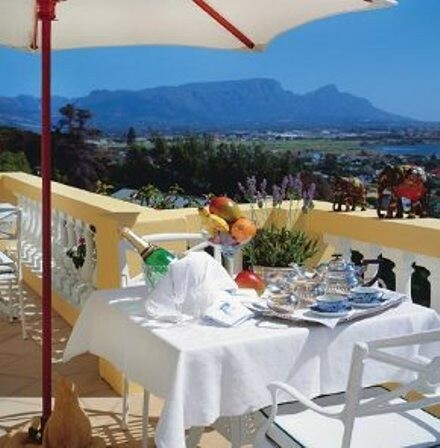 Spectacular panoramic views of Cape Town stretch from Table Mountain, the Cape Peninsula and Sandvlei Lake, across the Winelands, the legendary beaches of False Bay and the sapphire blue waters of the South Atlantic Ocean to Cape Hangklip. In this refined haven of serenity, guests are assured of outstanding hospitality and exceptional personal service. 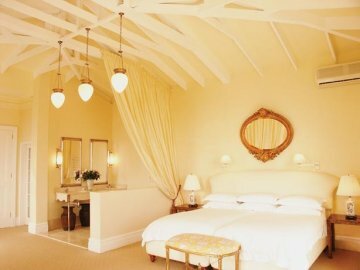 Five luxurious and exceptionally decorated full Suites, two Superior Bedrooms and a Family Suite cater for every comfort and convenience. Innovative gourmet lunches and dinners are prepared on request by our award-winning Executive Chef. Alternatively, discerning visitors may enjoy a myriad of excellent restaurants in the vicinity. Graded 5 Star, Colona Castle is truly a sophisticated, elegant and enchanting base from which to explore the fascinating Cape Town, the Cape Peninsula and the Winelands. Wonderful leisure options include picturesque mountain or beach walks, water sports, whale watching. Golfer's paradise with several world class golf courses within convenient access. Massages and Spa treatments are available on request. Lakeside enjoys sunny and mild winters. French, Swahili and English spoken.